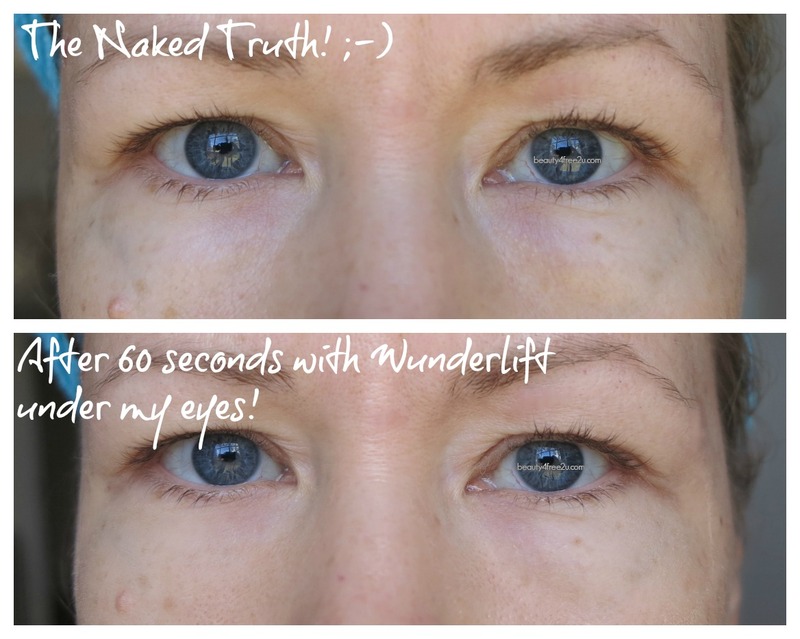 WUNDERLIFT 60 Second Wrinkle Reducer Review & BEFORE/AFTER PICTURES! I have tried the Wunderlift 60 second wrinkle reducer and will tell you today my thoughts on this instant wrinkle remover (that is one of my favorite products to try haha cause I need it!). Its Flex-Tensor Technology promises to instantly reduce eye wrinkles, puffiness and dark circles under eyes with long lasting effects, up to 8 hours! Does this really work? I sure hope! Wunder is btw a German word that means "miracle"! One can always hope for a miracle, right? You know, I have tried my fair share on instant wrinkle removers (check out my favorite ones here) and they all have their issues, but I am not sick of trying new ones and for $22 a tube, I find this is reasonably enough priced to try out. What is the magic inside? "Select area where you want to target, ensure it is clean and free of oil. 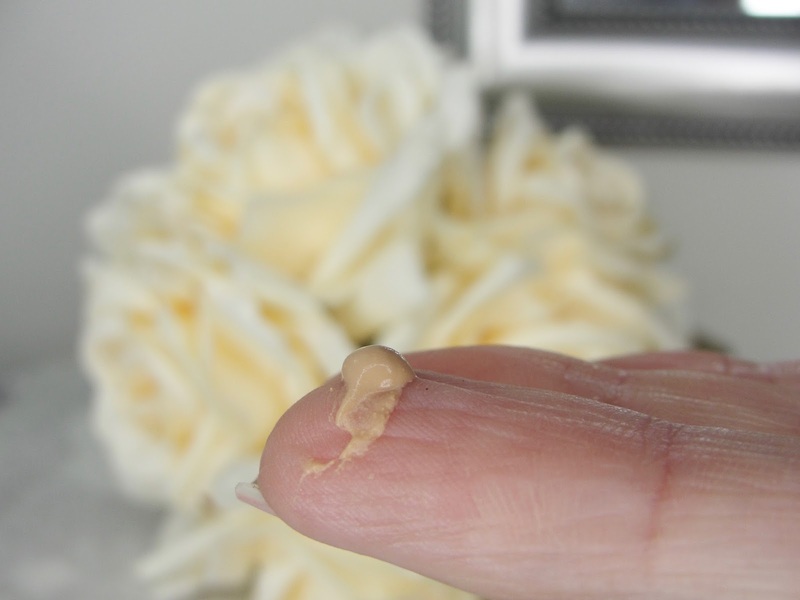 Apply before makeup , dispense a small amount onto fingertip, use less than more. Apply onto target area using sweeping motions, evenly coat all areas you wish to correct. Avoid making facial expressions for around 60 seconds until serum dries. A temporary tightening feel can be expected so you feel it's working, it will dissipate." Cause pictures speak louder than words, let´s just see the results, shall we? Here is the ugly truth (before) and my - much improved- after (only 60 seconds later!). I really like that Wunderlift is already tinted and it wasn´t difficult to smear and pat on. It did not get streaky or anything. I felt a little tingling (which is normal) and definitely a tightening feel. And the result is really great! 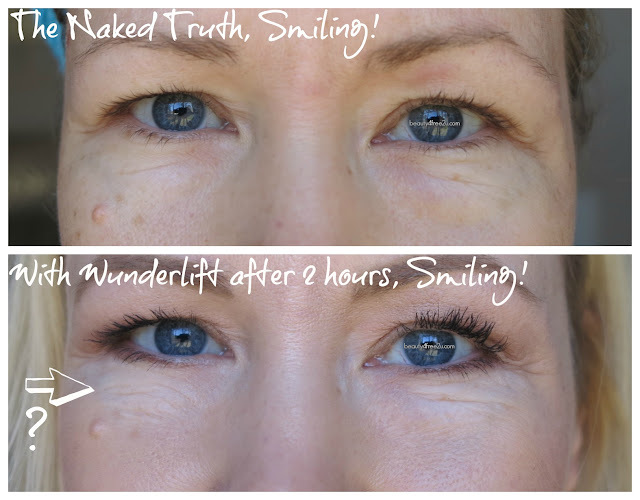 Wrinkles smoothed out, puffiness vanished and even some of the purple tones got better! WOW! Right? I mean: can you believe it? 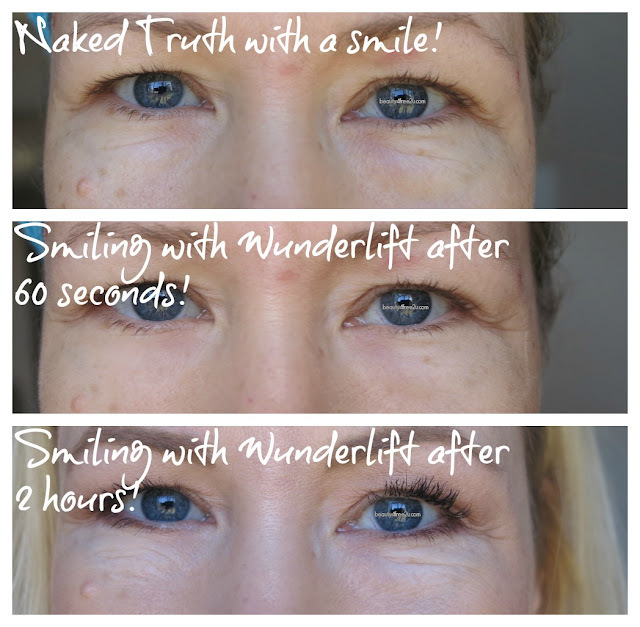 Even when smiling, the wrinkles are almost completely gone with Wunderlift! My skin looks literally like blurred out! OMG! Can this be true? Is this the magic we are all looking for? I thought so! And I was hoping too! 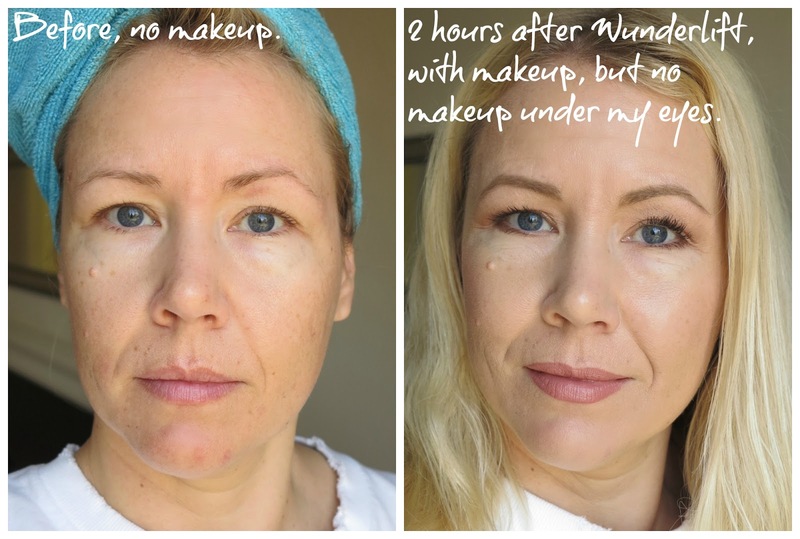 But 2 hours later, this is what happened (btw: yes, I applied makeup on the "after-face", but because I know that makeup can dilute the instant wrinkle remover, I completely skipped applying anything under my eyes- so there is no concealer or foundation under my eyes- just pure Wunderlif! Can´t see it? Oh yeah! Let me smile for you! See it? Something strange happened here under my left eye! 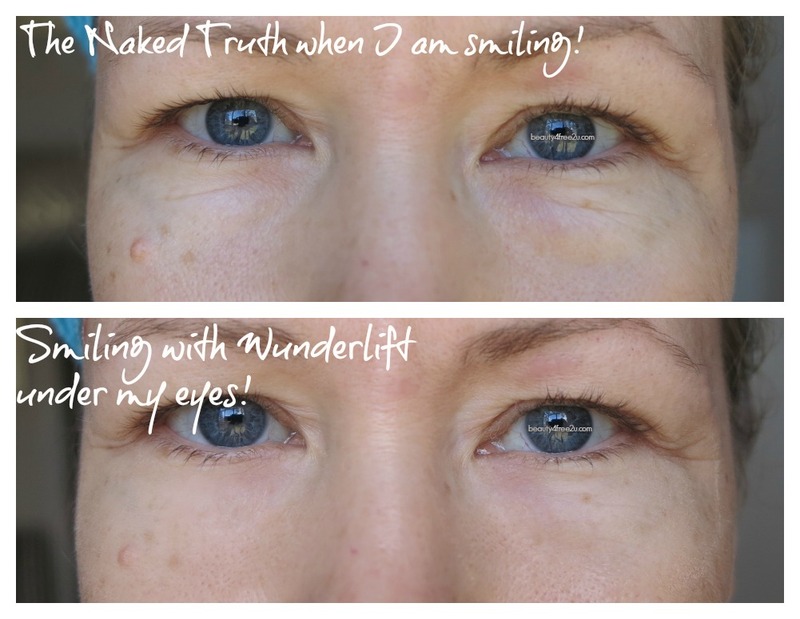 It was almost like Wunderlift created a completely new "half circle-shape" pattern of wrinkles under my eyes. Wrinkles that were so huge, I have never seen that on my face! The right side looked also worse than the before 2 hours earlier! Wth? 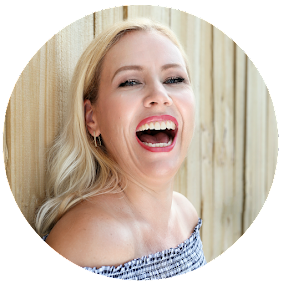 Check out my favorite instant wrinkle removers here! 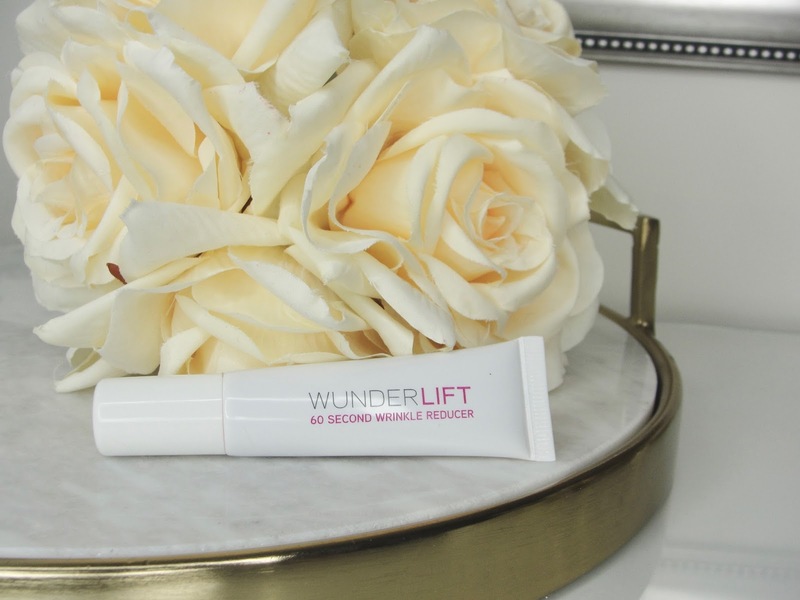 Have you ever tried Wunderlift? Did you like it! Do tell!